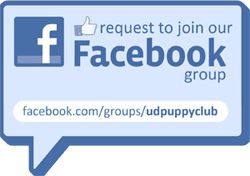 Our Past Puppies | P.R.O.U.D. Where is she now? Gigi will be continuing her raising journey with another club. Good luck Gigi! Where is he now? Peter will be continuing his raising journey with another club. Good luck Peter! Where is he now? Bobby will be continuing his raising journey with another club. Good luck Bobby! Where is she now? 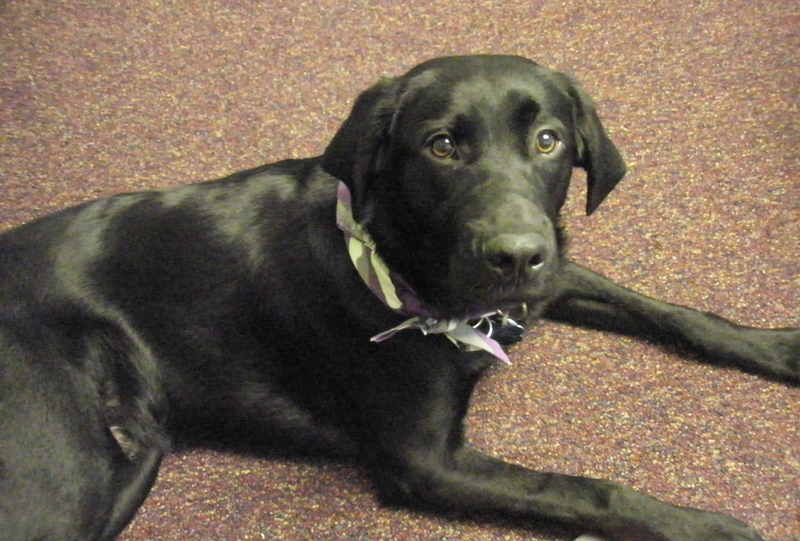 Karla has returned to The Seeing Eye to complete her formal training. Good luck Karla! Where is she now? 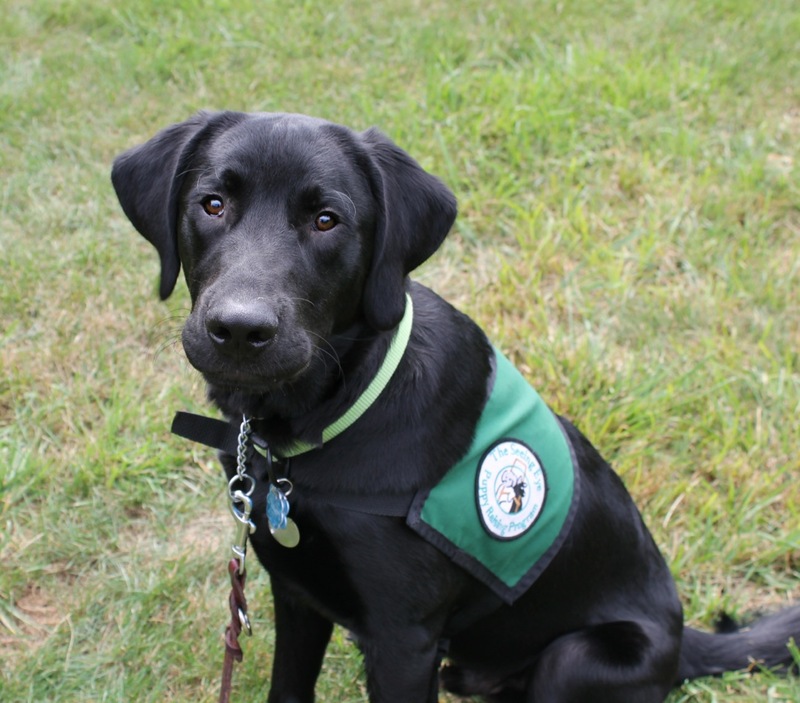 Nixie has returned to The Seeing Eye to complete her formal training. Good luck Nixie! Where is she now? 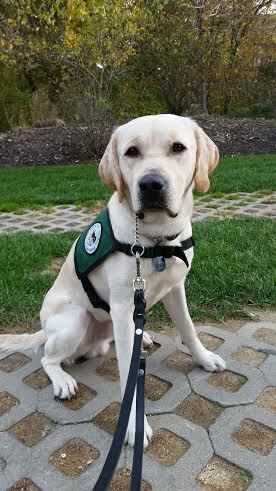 Dawn has returned to The Seeing Eye to complete her formal training. Good luck Dawn! Where is he now? Benson was released from the program but was adopted back by his raiser as a loving pet! Where is she now? Jazz has been released from the program due to allergies but has been adopted by a loving family! Where is he now? Iago was released from the program but was adopted back by his raiser as a loving pet! Where is she now? Inger was released from the program due to allergies but was adopted back by her raiser as a loving pet! Where is she now? Panda was released from the program due to a medical issue but was adopted back by her raiser as a loving pet! Where is she now? 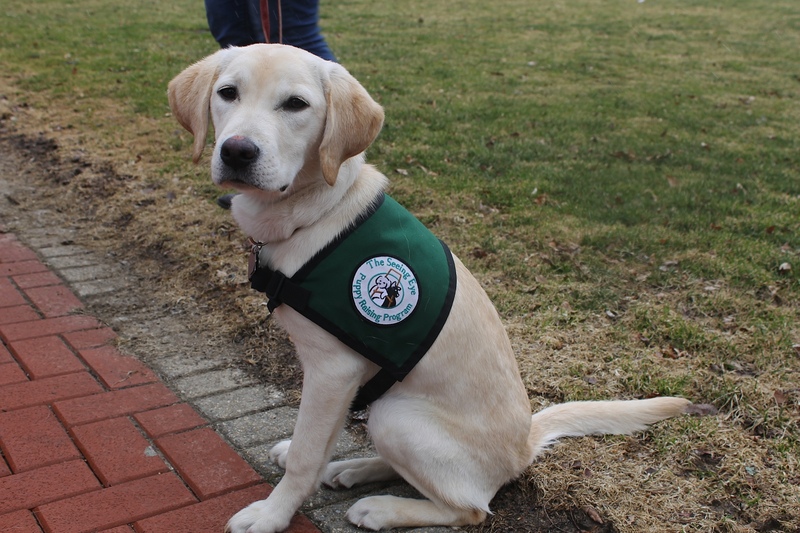 Nicole has returned to The Seeing Eye to complete her formal training. Good luck Nicole! Where is he now? 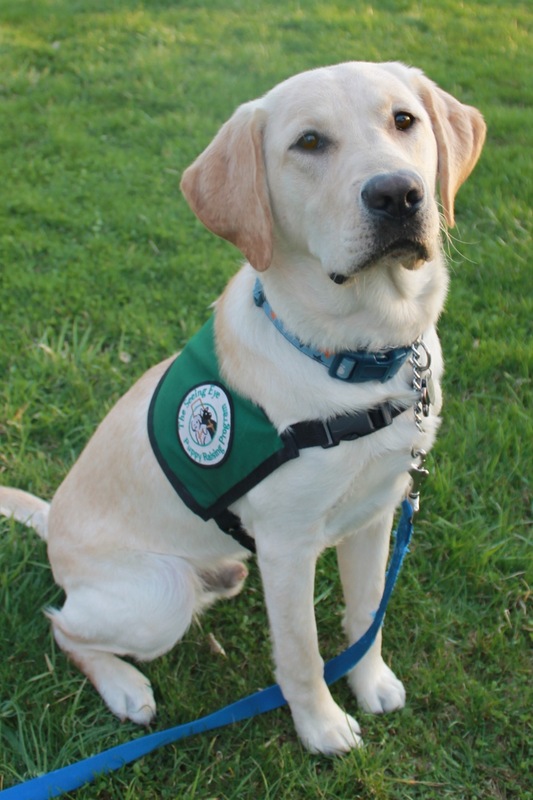 Pitot has returned to The Seeing Eye to complete his formal training. Good luck Pitot! Where is he now? 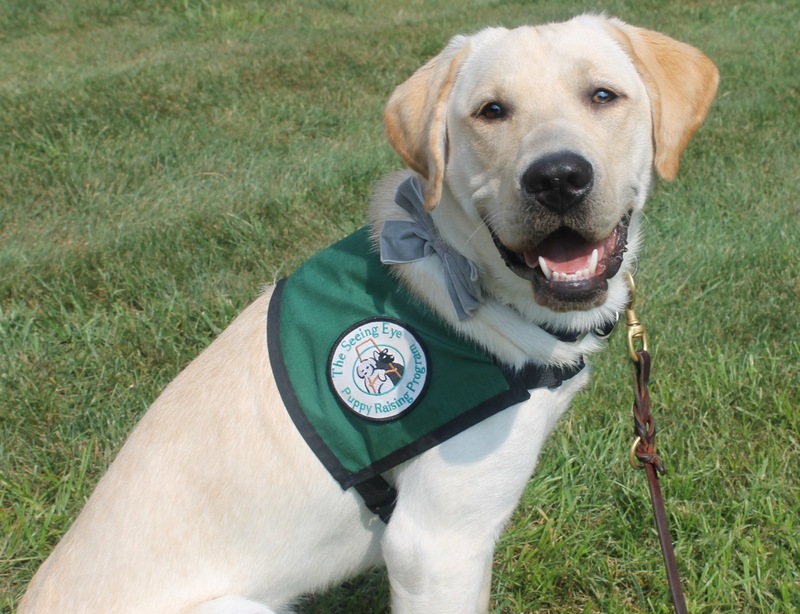 Cody has returned to The Seeing Eye to complete his formal training. Good luck Cody! Where is he now? Shep has found his perfect match! He was matched with a woman in her 40’s who’s active in local politics; Shep will accompany her to town hall meetings and courthouses! We are so PRoUD of you Shep! Where is she now? Laurie has found her perfect match! 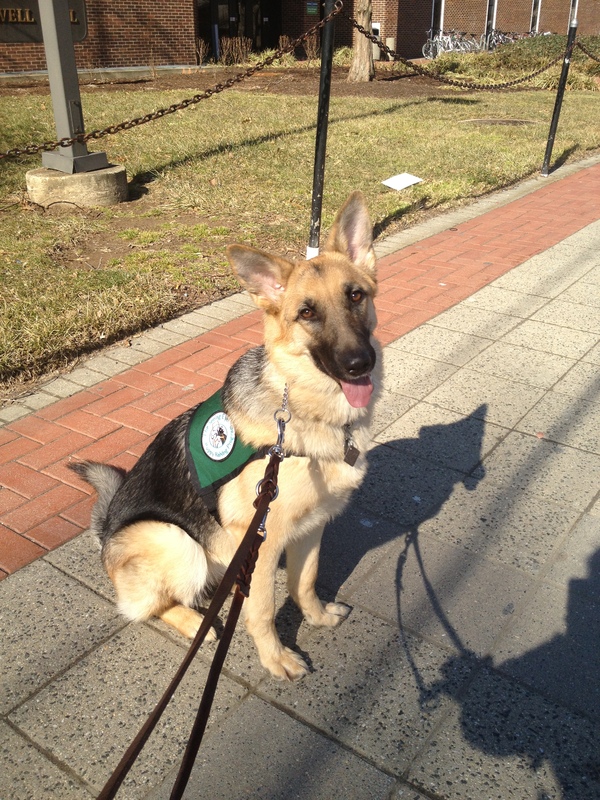 She has been placed with a 25 year old man from Texas and she is his first Seeing Eye Dog! We are so PRoUD of you Laurie! Where is she now? Jani was released from the program due to a cosmetic issue but was adopted back by her raiser as a loving pet! Where is he now? 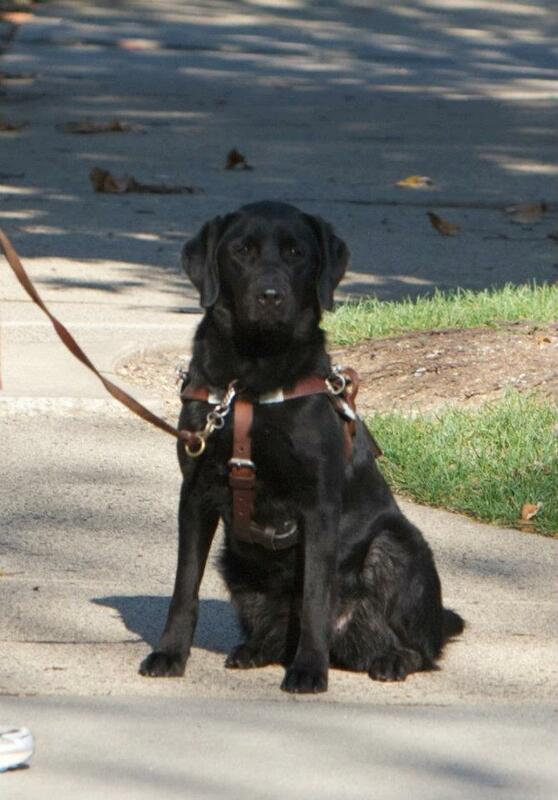 Urban has returned to The Seeing Eye to complete his formal training. Good luck Urban! Where is she now? 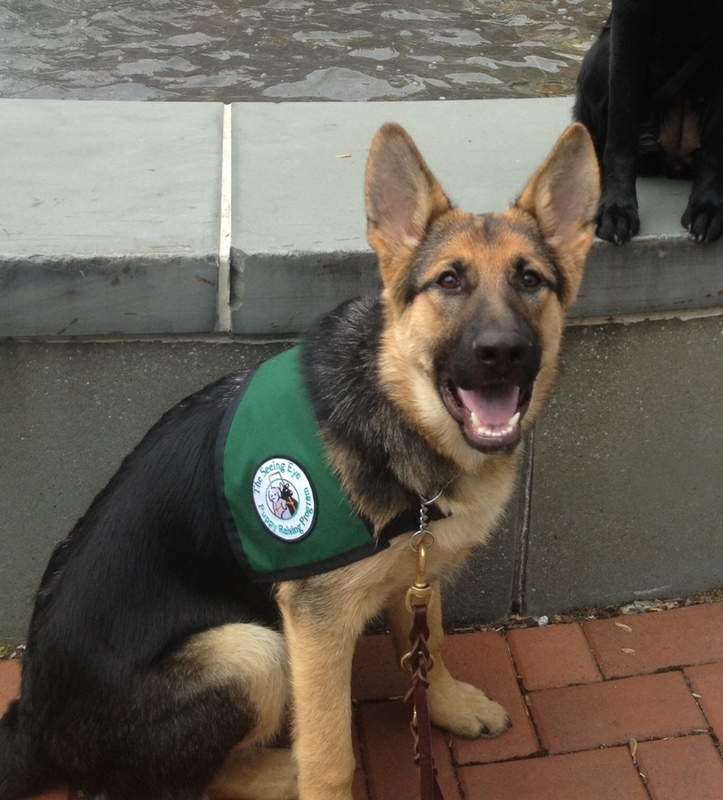 Trinity has returned to The Seeing Eye to complete her formal training. Good luck Trinity! Where is she now? 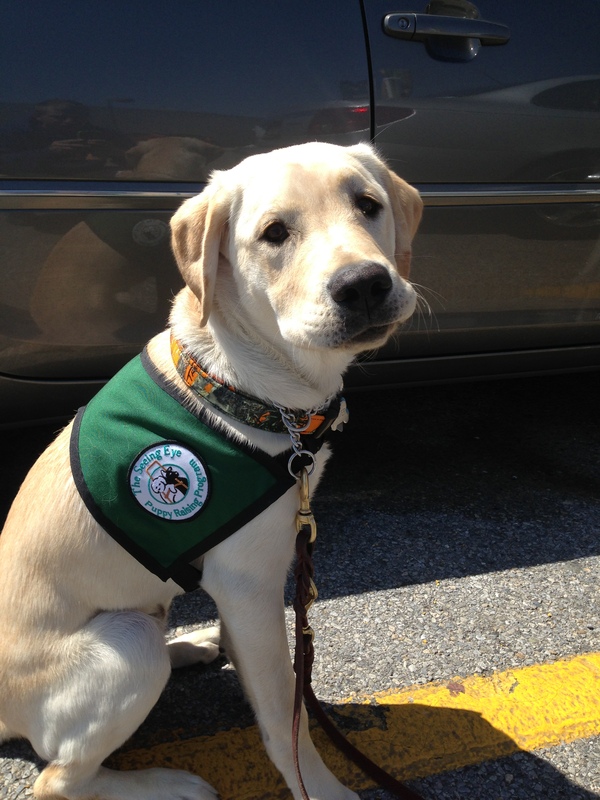 Jersey has returned to The Seeing Eye to complete her formal training. Good luck Jersey! Where is she now? Poppy has been released from the program but has been adopted by a loving family! Where is he now? Hector has been released from the program but has been adopted by a loving family! Where is she now? Chardonnay has found her perfect match! She was matched with a young woman attending college on the East Coast! We are so PRoUD of you Chardonnay! Where is he now? Al has found his perfect match! He was matched with a woman in her 60’s who works as a high school music teacher. We are so PRoUD of you Al! Where is she now? Hennig has found her perfect match! 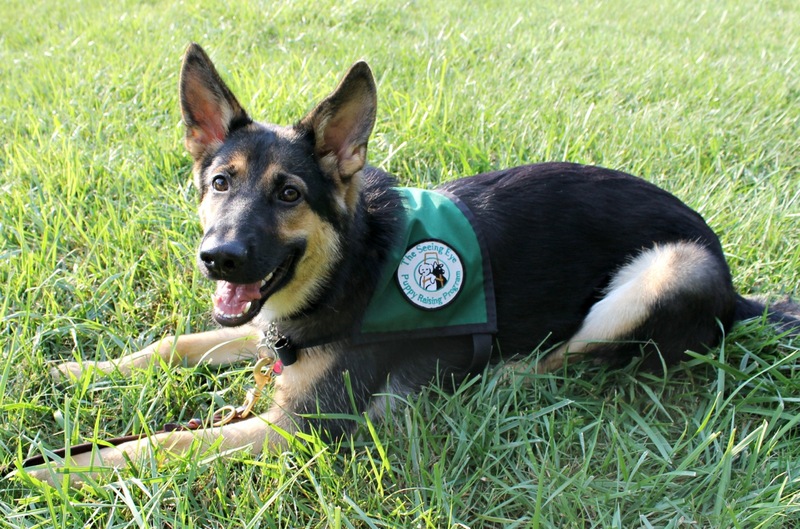 She has been placed with a young woman from the southwest United States and she is her first guide dog. We are so PRoUD of you Hennig! Where is he now? Kolby has found his perfect match! We are so PRoUD of you Kolby! Where is he now? Barnabas has been released from the program but has been adopted back by his raiser as a loving pet! Where is she now? 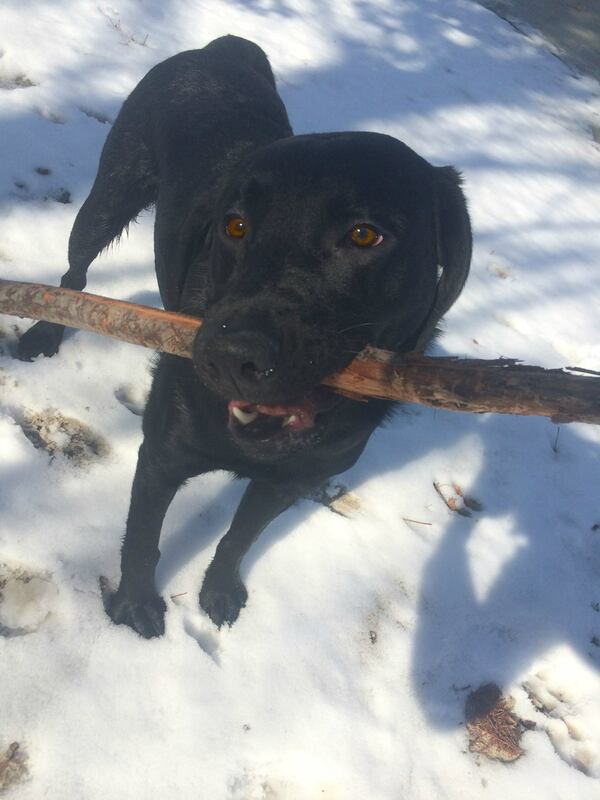 Wynter is now at The Seeing Eye and has been selected for breeding! Congrats, Wynter! Where is she now? Ellie has been released from the program due to an irregular gait but has been adopted back by her raiser as a loving pet! Where is she now? Willow has been released from the program due to medical reasons and has been adopted by a loving family. Where is she now? Taos has been released from the program but has been adopted by her raiser as a loving pet! Where is she now? Beatrice has been released from the program but has been adopted back by her raiser as a loving pet! Where is she now? Flicker has found her perfect match! 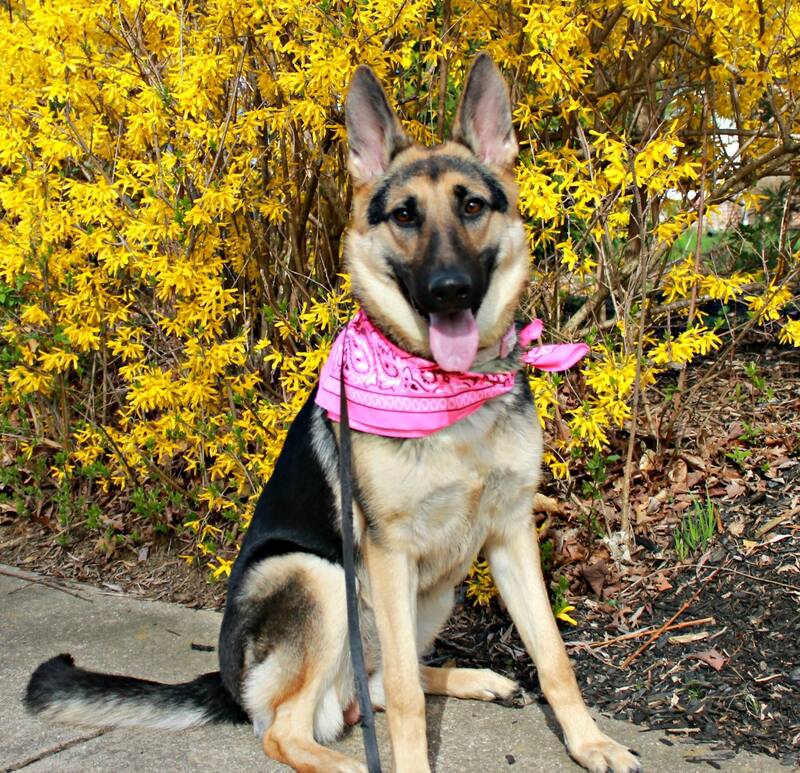 She has been placed with a man who loves to stay active and Flicker is his 5th German Shepherd! We are so PRoUD of you Flicker! Where is she now? Angelia has found her perfect match! 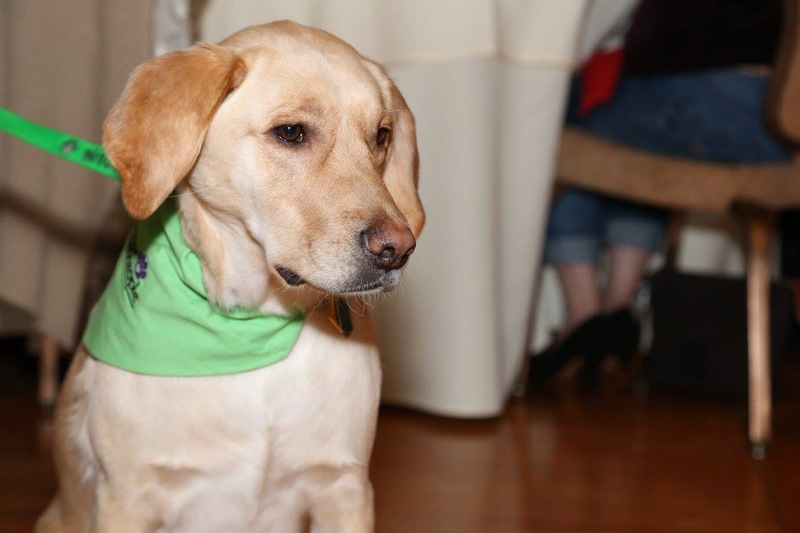 She has been placed with a woman from Minnesota and Angelia is her seventh guide dog. We are so PRoUD of you Angelia! Where is she now? Vera has found her perfect match! She has been placed with a retired 58 year old man in Ohio. We are so PRoUD of you Vera! Where is he now? Enzo found his perfect match! He was matched with a 66 year old man from Maryland who is a part time college professor. They will enjoy going to classes together! We are so PRoUD of you Enzo! Where is he now? 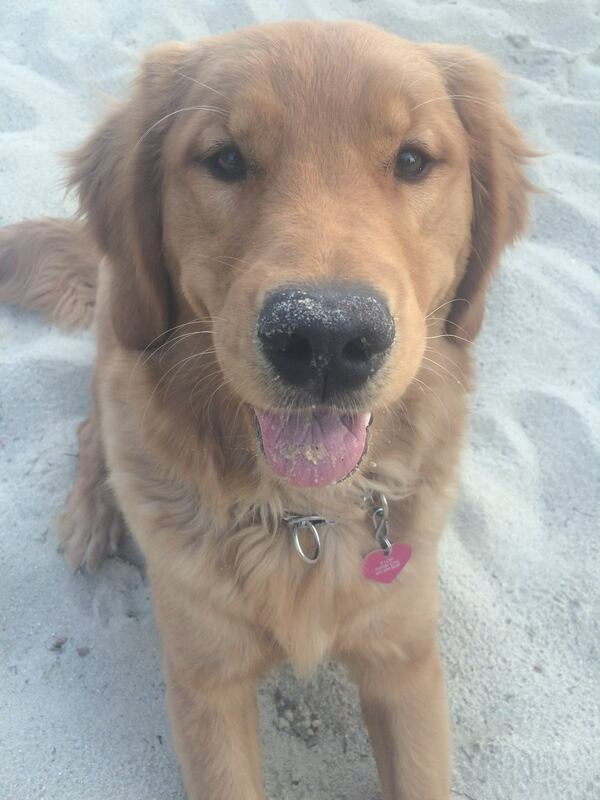 Doris found her perfect match! We are so PRoUD of you Doris! Where is he now? Zappa was released from the program due to medical reasons. He was adopted back by his raiser and is now a loving pet. Where is he now? Elmo was placed with his perfect match! He was placed with a woman from Texas who loves him so much! We’re so PRoUD of you, Elmo! Where is she now? Pam has been released from The Seeing Eye program due to an irregular gait. She has been adopted back by her raiser as a loving pet! Where is she now? Velour has retired from The Seeing Eye’s breeding station and was adopted back by her raiser as a loving pet. We are so PRoUD of you Velour! Where is he now? Tigger has been released from the program, but has been adopted back by his raiser as a loving pet! Where is she now? Liberty was released from the program due to medical reasons. She was adopted back by her raiser and is now a loving pet. Where is he now? Louie has found his perfect match! He was placed with a woman in PA! We’re so PRoUD of you, Louie! Where is he now? Marty has been released from the Seeing Eye due to allergies but has been adopted back by his raiser as a loving pet! Where is she now? Garnet has been released from The Seeing Eye due to a heart arrhythmia and has been adopted back by her raiser as a loving pet! Where is she now? 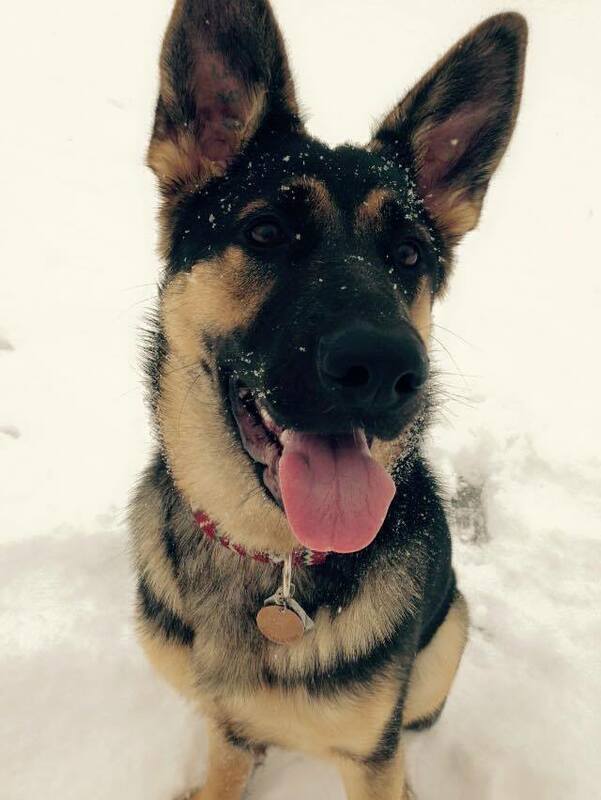 Holly has been paired with a 56 year old woman in Alberta, Canada! Holly is her third guide dog but her first from the Seeing Eye! Where is he now? Hawkeye was released from the program because of medical reasons. He was adopted back by his raiser as a loving pet! Where is he now? Dakota has been released from the program and has been adopted back by his raiser as a loving pet! Where is he now? Omar has been paired with a 27 year old man in Pennsylvania! 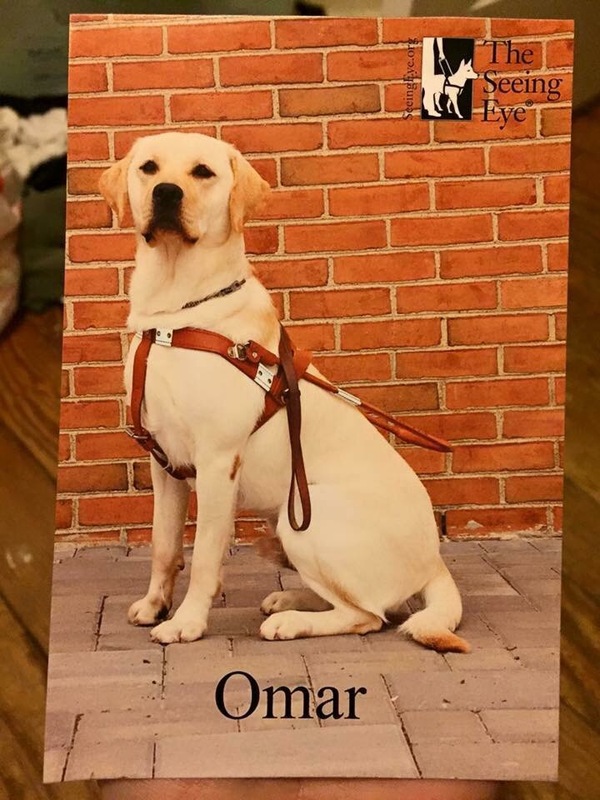 The man’s wife also has a Seeing Eye Dog who just so happens to be Omar’s half brother. Where is she now? 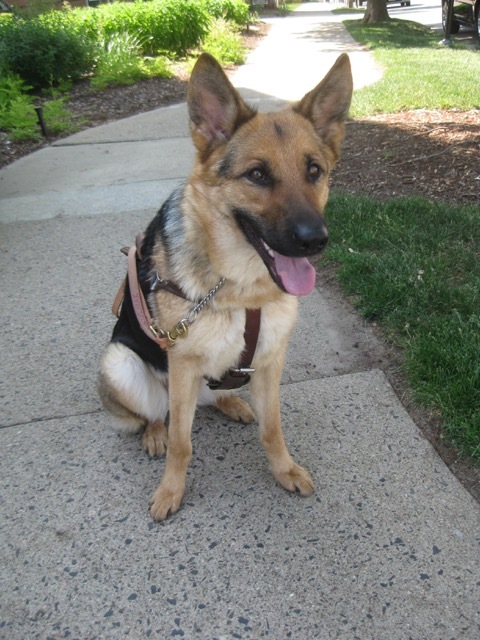 Kita has been released from The Seeing Eye and adopted back by her raiser as a loving pet! 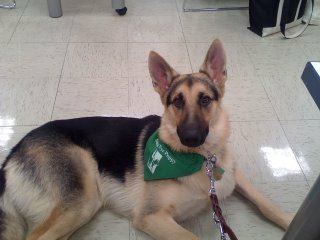 She is now a certified therapy dog! Where is he now? Porter was paired with his forever match, a man in Indiana who is in a rock band! We’re so PRoUD of you, Porter! Where is he now? Henry has been released from The Seeing Eye and adopted back by his raiser as a loving pet! Where is she now? 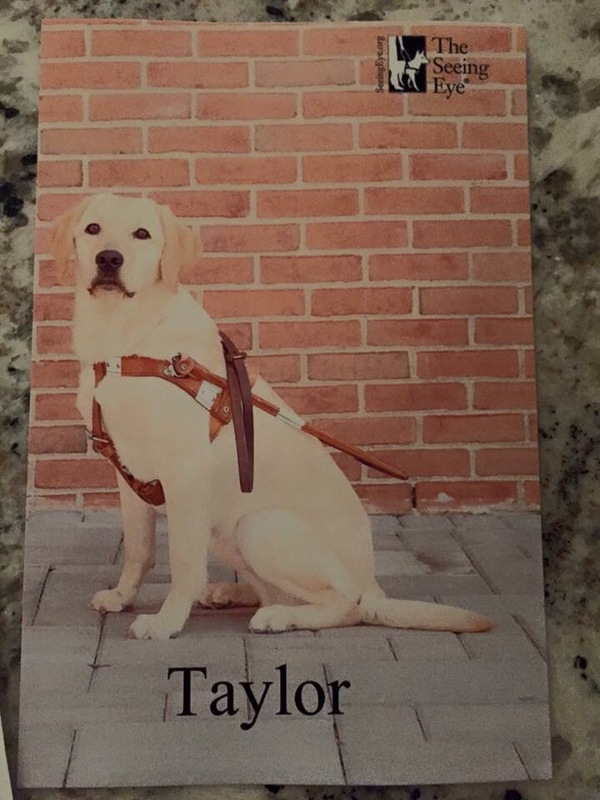 Taylor is now an official guide! She has been matched with a woman in Canada. Congrats, Taylor! Where is she now? Tina has been released from The Seeing Eye and adopted back by her raiser as a loving pet! Where is he now? 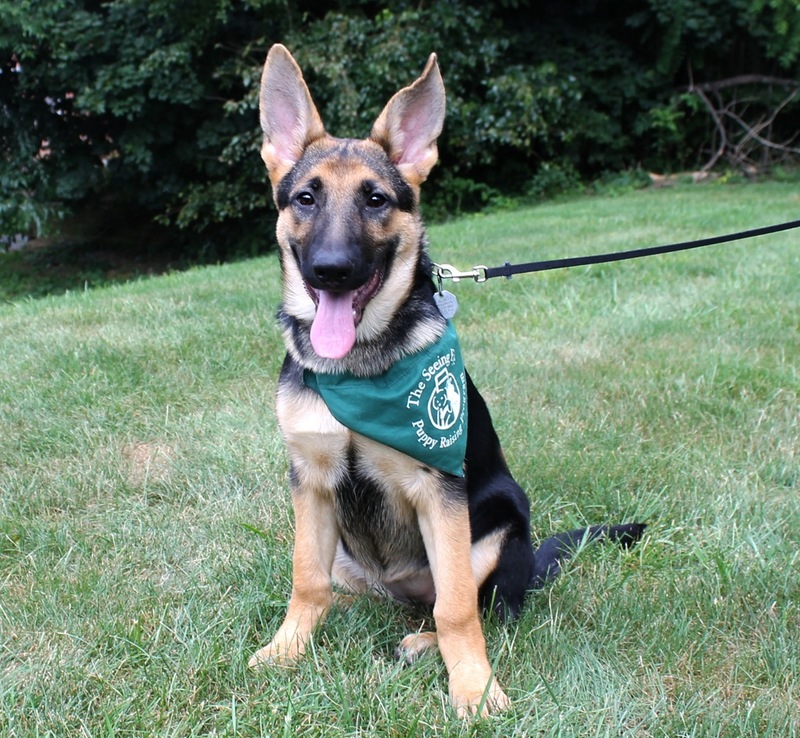 Kendall has been released from The Seeing Eye and was adopted by a loving family. Where is he now? Legend has been released from The Seeing Eye and was adopted by his raiser as a pet. Where is he now? Finnbar has retired early and has been adopted back by his raiser as a forever pet! Congrats on your hard work, Finnbar, and enjoy your retirement! Where is she now? Wintin has been released from the program and was adopted by a loving family. Where is he now? Paul was released from the program and adopted by a loving family. Where is she now? 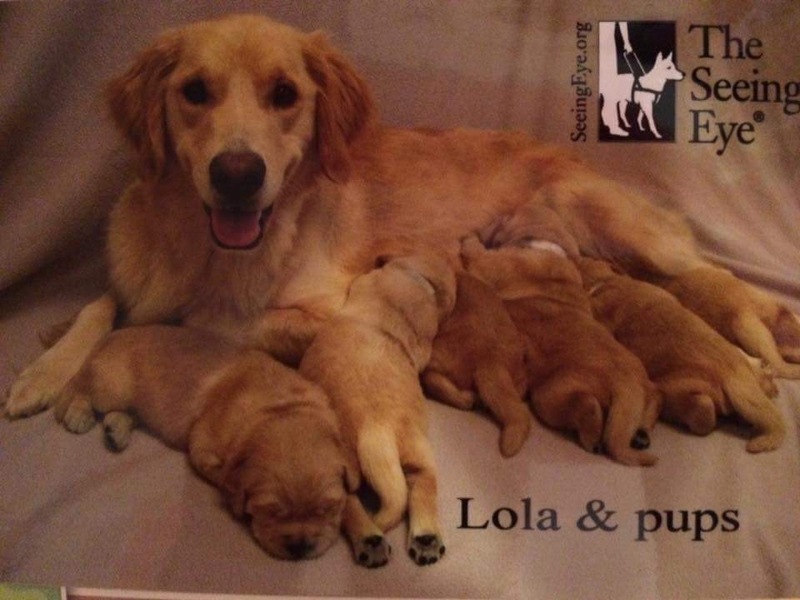 Lola has retired from The Seeing Eye’s Breeding Station and was adopted by a loving family! We are so PRoUD of you Lola! Where is she now? Georgia has been released from the program and was adopted by a loving family. Where is he now? Kanga was matched with an 81 year retired factory worker from Pennsylvania. 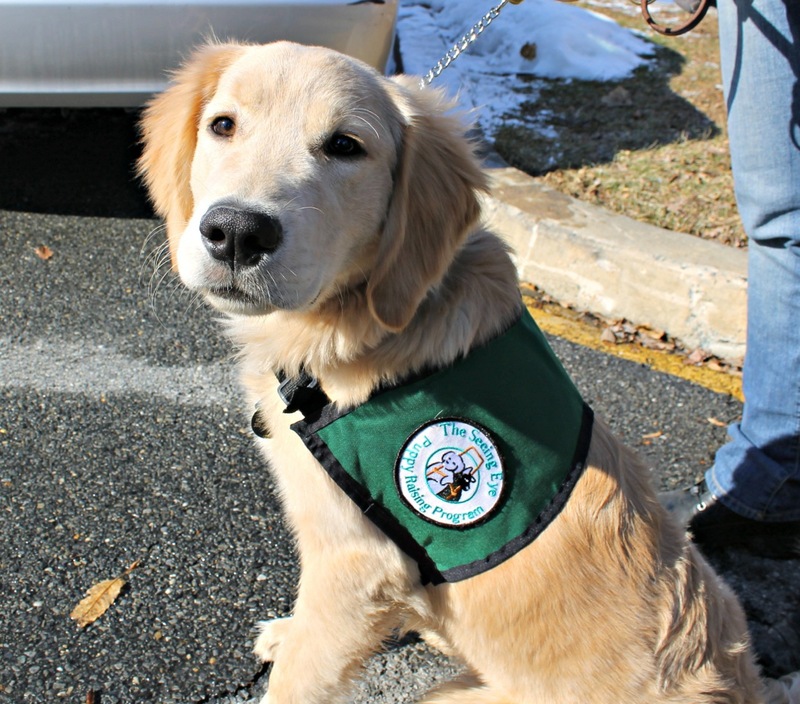 They plan on going on many walks along with his wife and retired guide dog, Chance! Where is she now? Glory was released from the program due to medical issues and has been adopted. Where is he now? 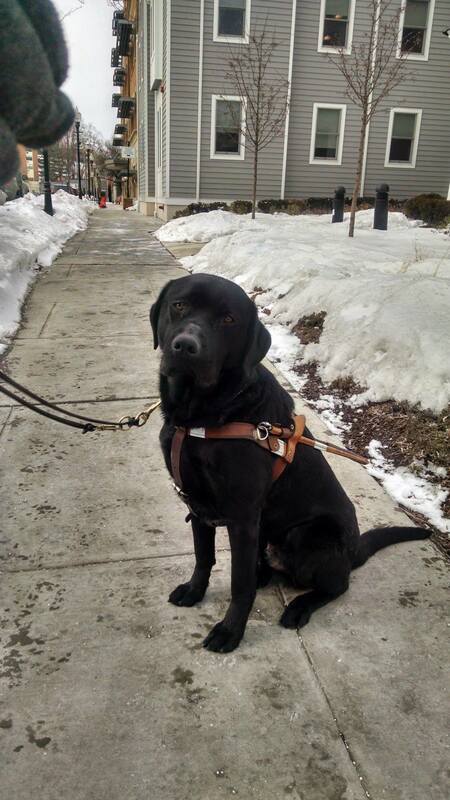 Harry has been matched with and is now guiding a blind individual in PA.
Where is he now? Bari has been released from The Seeing Eye for a urine irregularity but was adopted back by his raiser as a pet. Where is he now? Ben was released from The Seeing Eye for an over growth of bacteria in his intestine but was adopted back by his raiser as a pet. Where is he now? 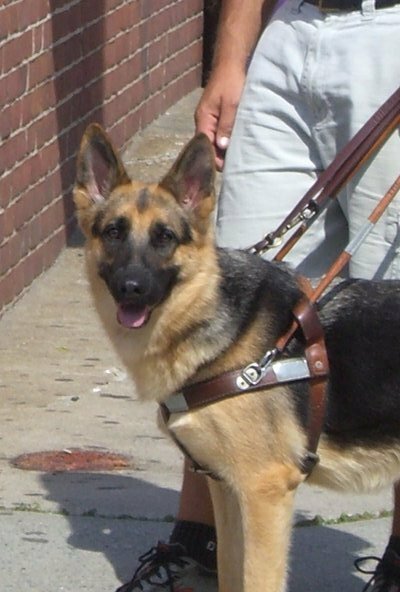 Butch was released from The Seeing Eye for a body sensitivity to the harness but was adopted back by his raiser as a pet. Where is she now? Jill has been placed with a woman in Colorado. Way to go Jill, we are so PROUD of you! Where is she now? 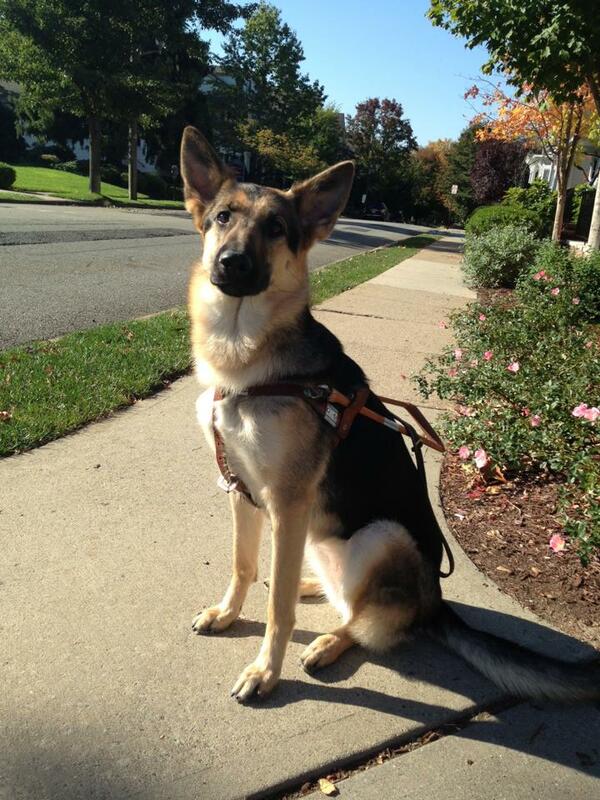 Jaya has been placed with a woman from NJ and is her 4th Seeing Eye dog but first Shepherd! Where is he now? 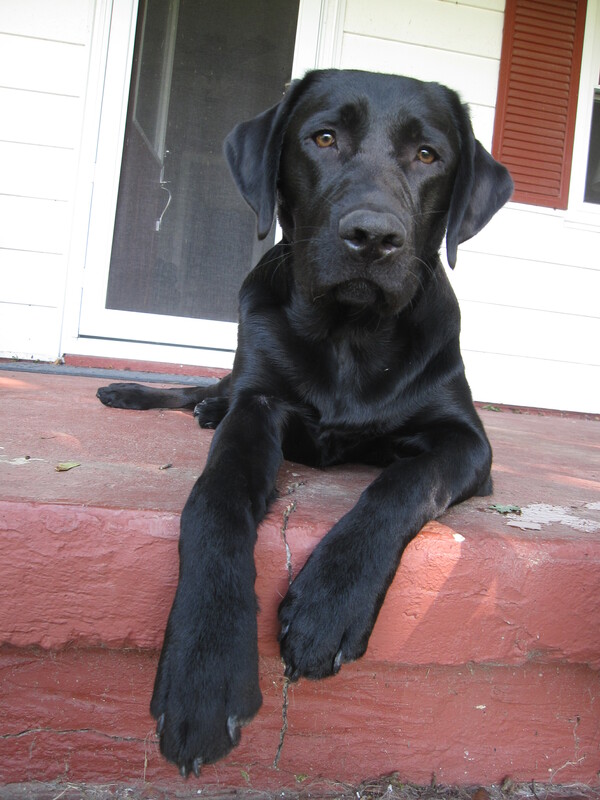 Howard was released from The Seeing Eye Program and was adopted by a loving family. Where is she now? 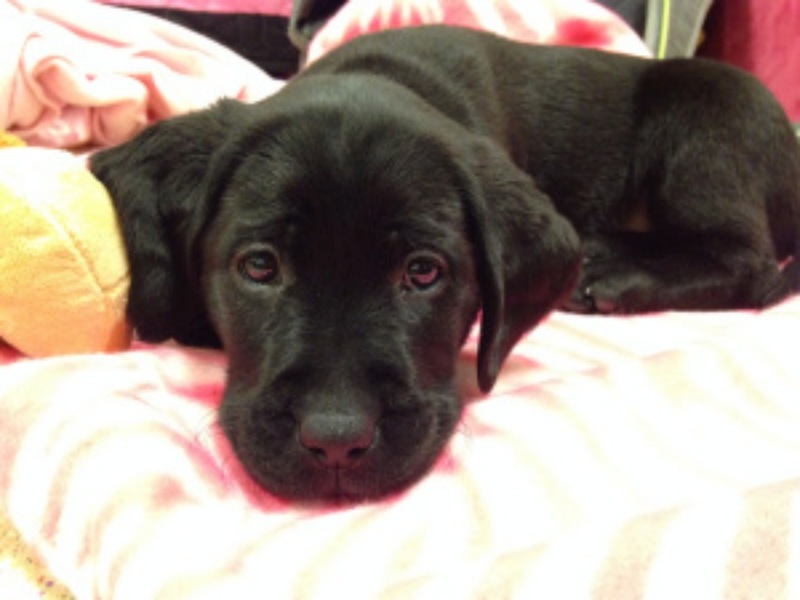 Yvon was released from The Seeing Eye and has been adopted by a loving family. Where is she now? Agnes has been placed with a 42 year old woman from California! 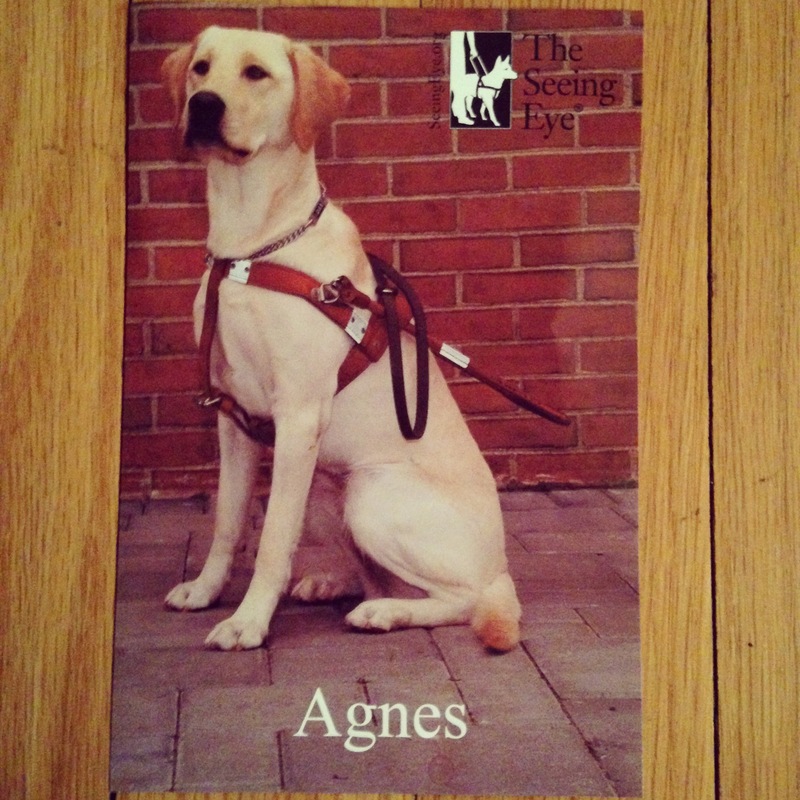 Agnes is her 5th guide, but the first one she needed trained on her right side. She loved Agnes from the start, especially how silly and sweet she is. Way to go Agnes, we are so PROUD of you!! Where is he now? Angus was released from The Seeing Eye due to skin allergies but was adopted back by his raiser. Where is he now? 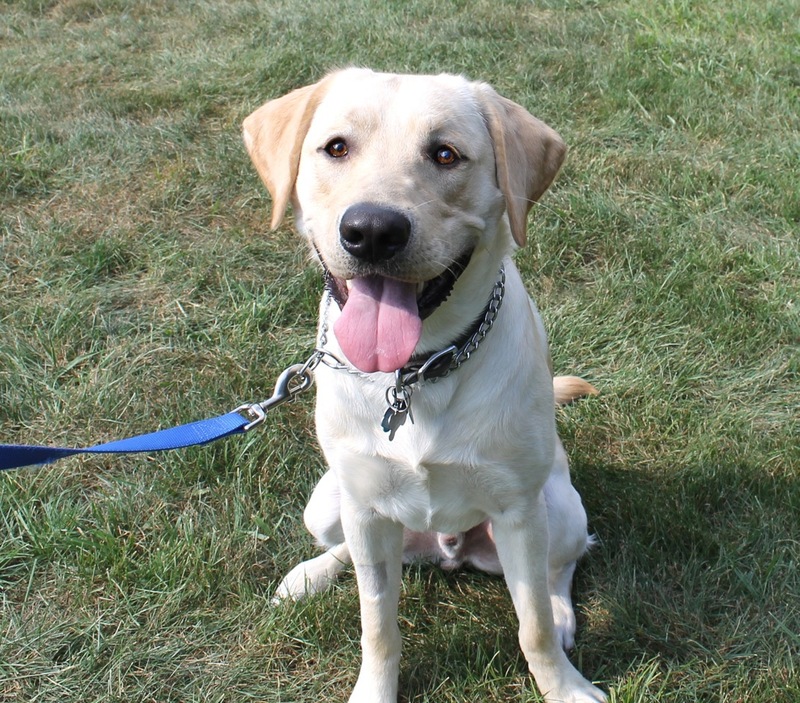 Baxter has been released from The Seeing Eye program and was adopted back by his raiser. Where is he now? 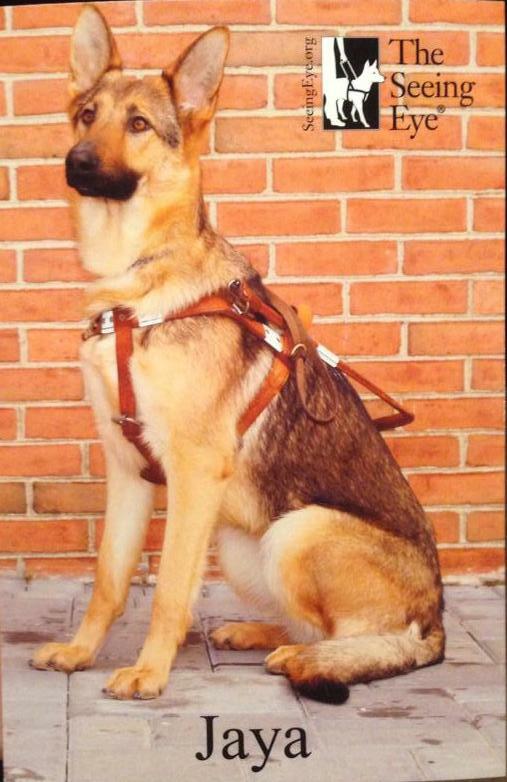 Jansen was released from the The Seeing Eye and is now working as an explosive detection dog in NJ. Where is she now? Xylene was placed with a young woman down in Florida. She lives an active lifestyle and is the perfect fit for Xylene. Way to go Xylene, we are so PROUD of you! Where is she now? 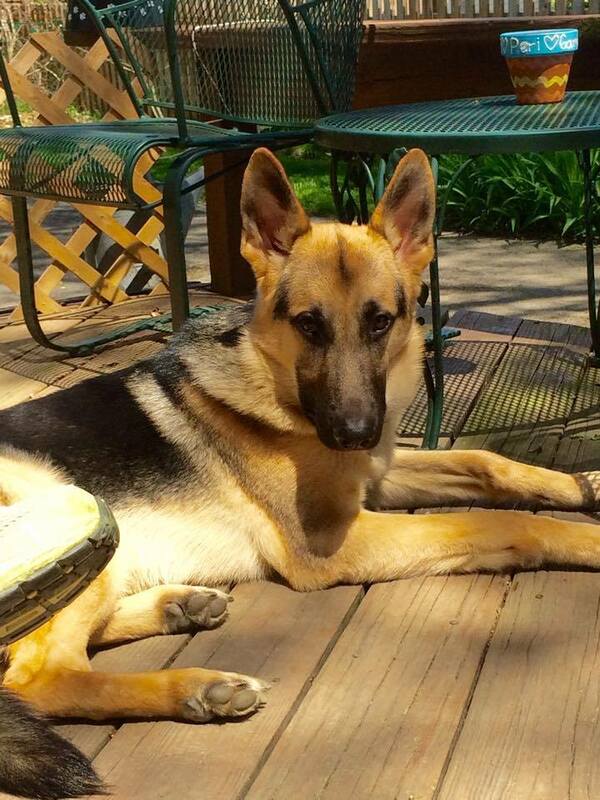 Gia has been placed with a man as his first dog and he loves her very much. Way to go Gia, we are so PROUD of you! Where is he now? 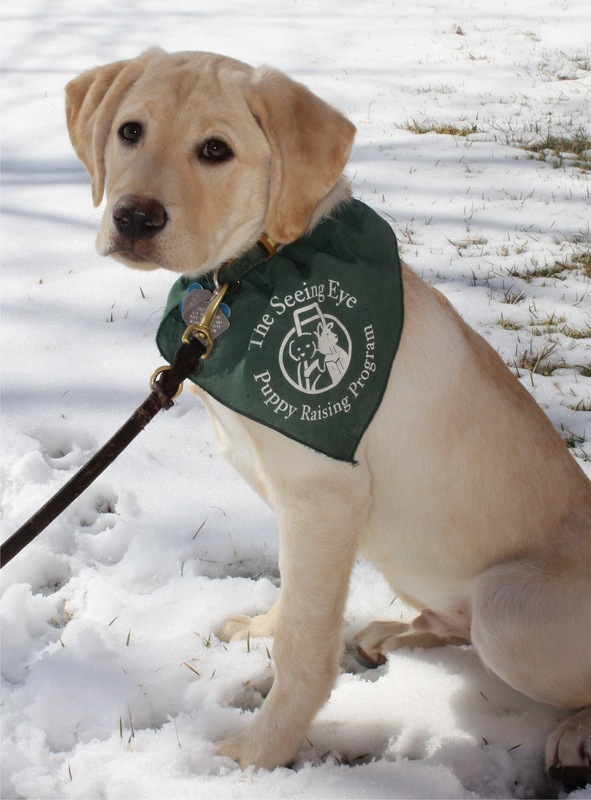 Rocky was released from The Seeing Eye due to severe allergies. 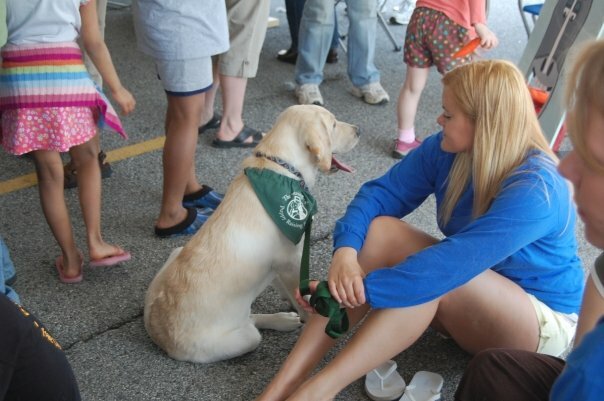 However, he was adopted by his raiser who plans to get him certified as a therapy dog! Where is she now? Sophie was released from the program due to distichia. Jackie will be adopting her back and spoiling her, just like her sister Kyra! Where is he now? Zito was released from The Seeing Eye due to an irregular gait. However, Ruthanne decided to adopt him as a family pet! Where is he now? 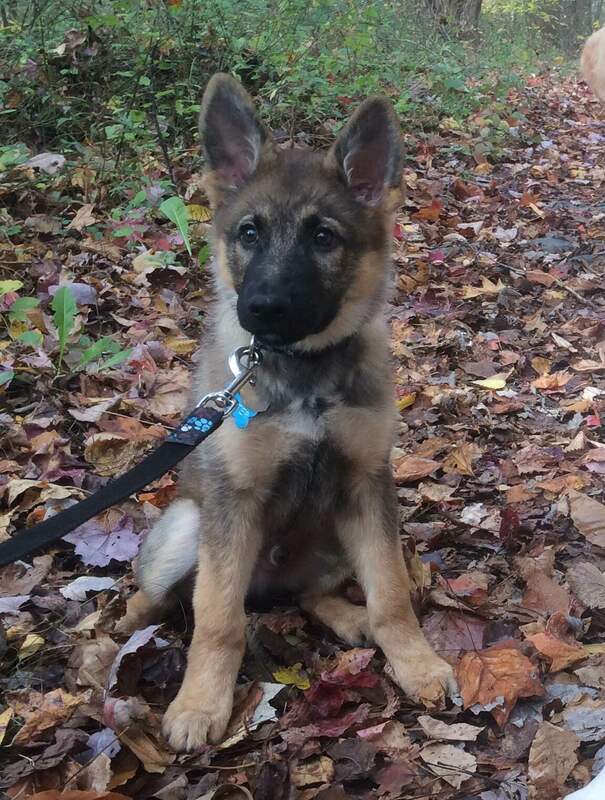 Viking has been placed with a young man in Virginia! 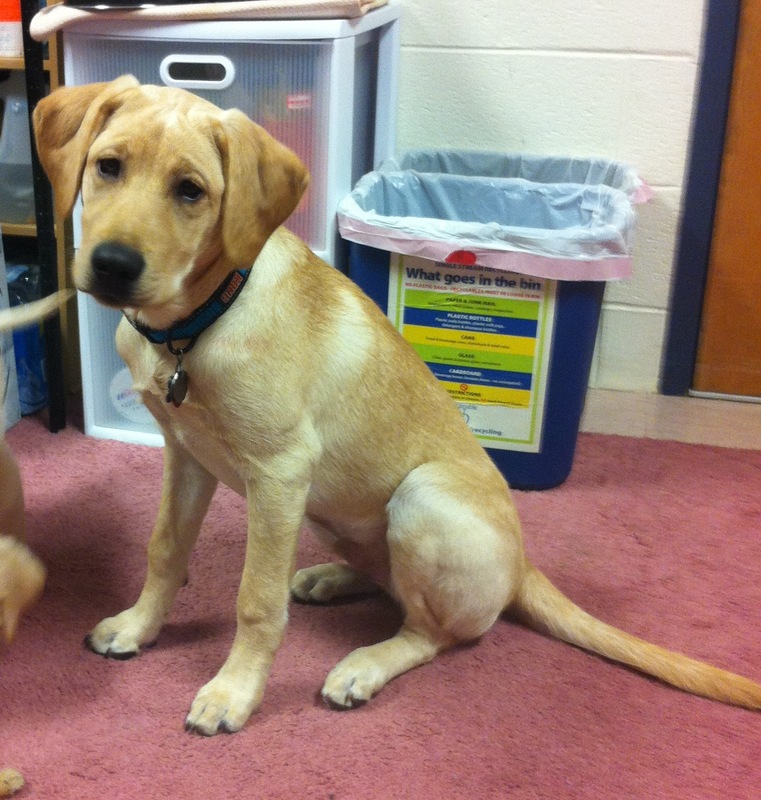 Viking is his first Seeing Eye dog, and the two got along great right from the start. Viking’s graduate is married with a young daughter, and another child on the way, so Viking will get to grow up with the kids! Way to go Viking, we are so PRoUD of you!! Where is she now? Penny has been placed with her forever match. Great Job Penny, we are all so PROUD of you! Where is he now? Art went back to The Seeing Eye and has had a career change. 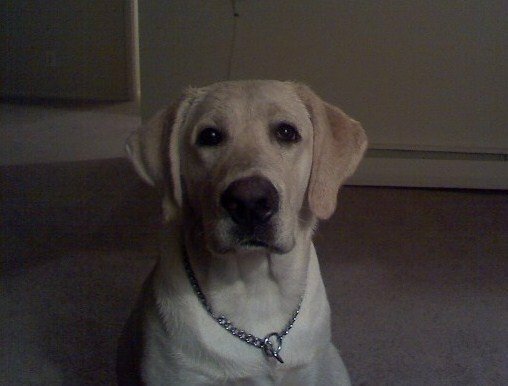 Art went to the Police Academy and is now a K9 Narcotics Detection Officer working in New Jersey. Way to go Art, we are so PROUD of you! Where is she now? Rosie was released from the program but adopted by her raiser Sarah! Where is she now? Diana has been released due to an irregular gait. Our club leader, Kim has adopted her! Where is he now? Elvis was recently placed with the perfect match. Good job Elvis, we are so PROUD of you! Where is he now? Lamar was released from training due to skin allergies. Holly and Kevin adopted him back to live with them. Where is he now? Laddie was placed with a 29 year old man who lives in Indiana. 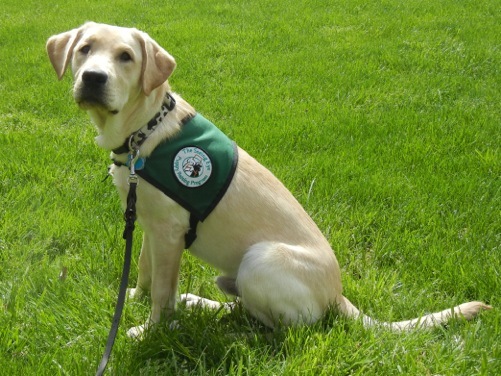 Laddie is the man’s second Seeing Eye Dog! Great Job Laddie! We are so PROUD of you!! Where is She Now? Freckles has been placed with an older gentleman who lives in Iowa with his wife. 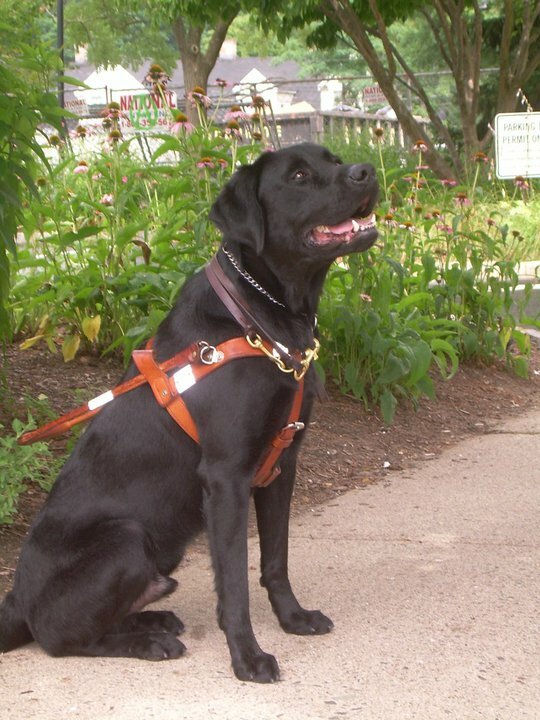 Freckles is the man’s fourth Seeing Eye dog. He has kept his retired guide dog, a labrador retriever, and the two dogs have quickly become best friends! Where is She Now? Priscilla has been placed with her perfect match. Way to go Priscilla, we are so PROUD of you! Where is He Now? 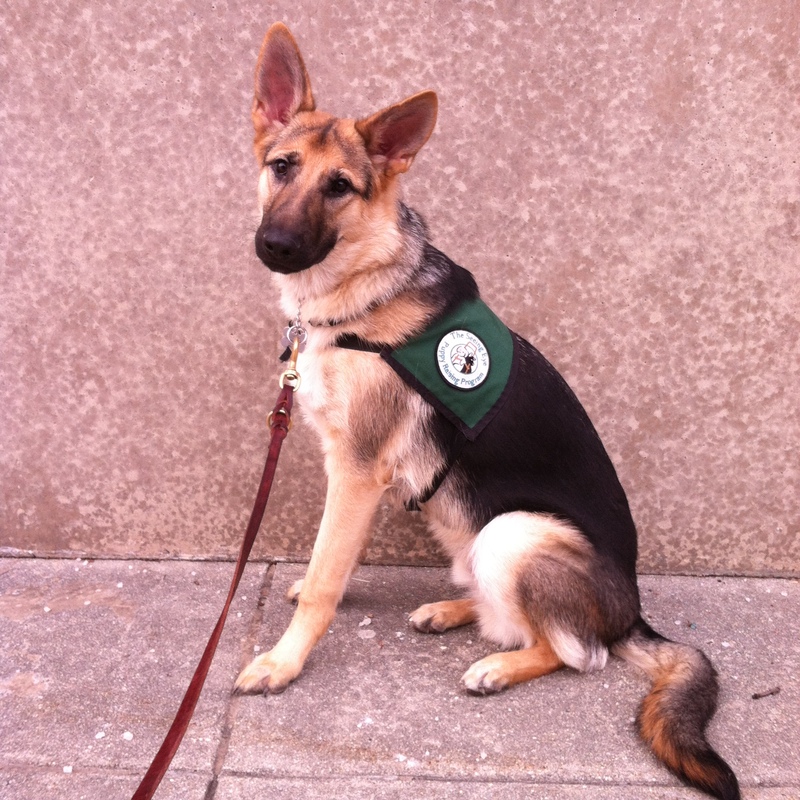 Nick was released from The Seeing Eye program due to an irregular gait. 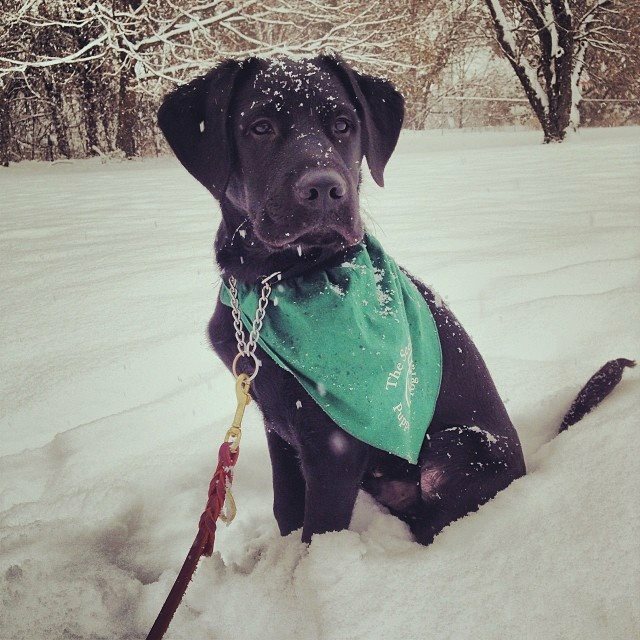 He was adopted by Kim Mizia and has had a career change and is now a certified therapy dog! Where is He Now? Noah has been paired with a 68 year old man from Florida. Noah’s new partner is an Artist, he paints and draws! 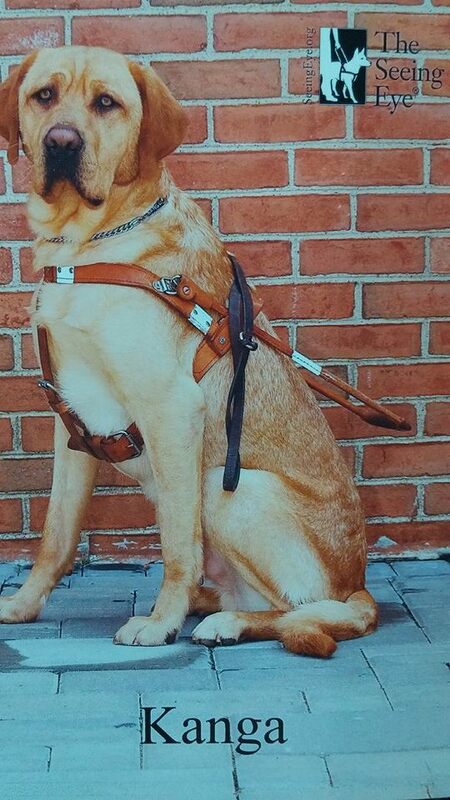 Noah is his first guide dog. Way to go Noah!! We are so PROUD of you!! Where is She Now? Nikita was released from the program due to severe allergies. 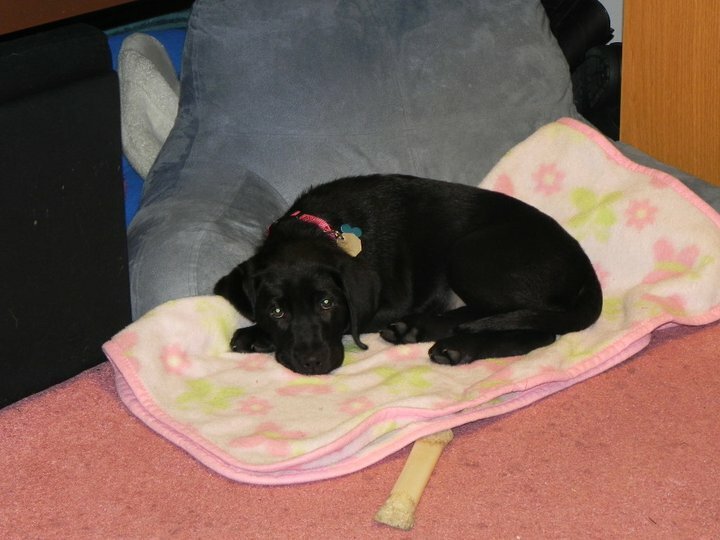 She is currently living in Richmond, IN with Allie’s parents and Chesapeake bay retriever, Heidi. Where is He Now? Leon has been placed!! He is now that partner of a 63 year old retired woman living in Northern California. She had lots of family and tons of grandchildren whom she visits often. She also has two pet dogs, so Leon will have new puppy friends as well! Great job Leon! We are so PROUD of you!! Where is He Now? Frosty has been placed with a woman in Massachusetts! 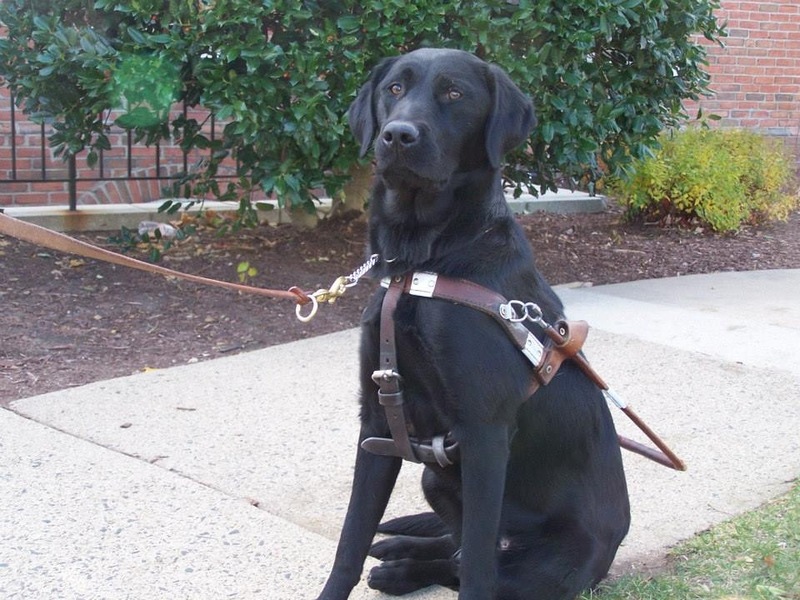 Frosty is her second guide dog from The Seeing Eye. Way to go Frosty, you did it!! We are so PROUD of you. Where is He Now? Ying had his town walk on July 13th, however was later released from training due to dog distraction. Ying was adopted back by his puppy raiser, Holly. Where is He Now? Marvin was released from the program and adopted by Casey. Where is he now? Mitch is a breeder at The Seeing Eye. Where is he now? Irving has been He is placed with a 76 year old retired man in Massachusetts. It is the man’s 5th Seeing Eye dog. Way to go Irving, we are so PROUD of you! Where is he now? Miles was released from the program and adopted by Julia. Where is he now? 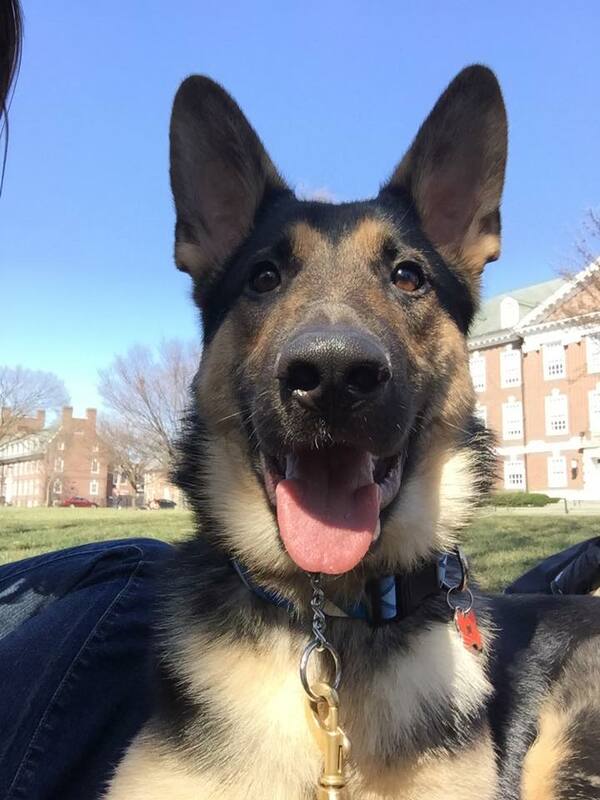 Norwood is now a police dog. Where is she now? Vanya was released from the program. Where is she now? 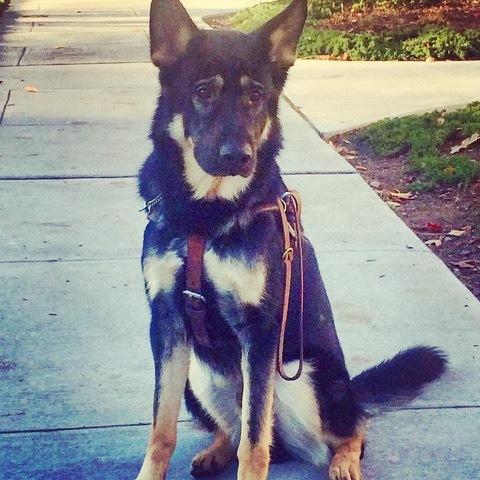 Viola is now a guide dog. Where is he now? Kurt was released form medical reasons. Holly and Kevin have adopted him back. Where is she now? : Kyra was released due to severe allergies. Jackie has adopted her back! Where is he now? Belmar was released due to sever skin allergies. Julia’s family adopted him back! Where is she now? Jessie is currently working with a woman in New Mexico! Congrats Jessie, we are so PROUD of you! Where is she now? Lacey was released as a surplus pup and was adopt by Janine. Where is she now? Cheri was released as a surplus pup and was adopted by her raisers. Where is he now? 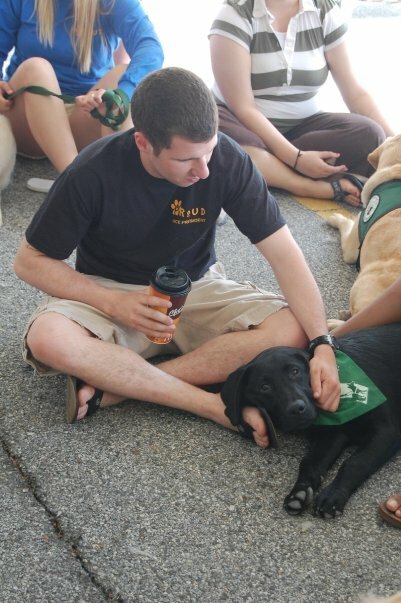 Idan was released as a surplus pup and was adopted by Danielle. Where is he now? Rocket was released due to allergies. Where is he now? Wally was released from the program and was adopted by Bill’s family. Where is she now? 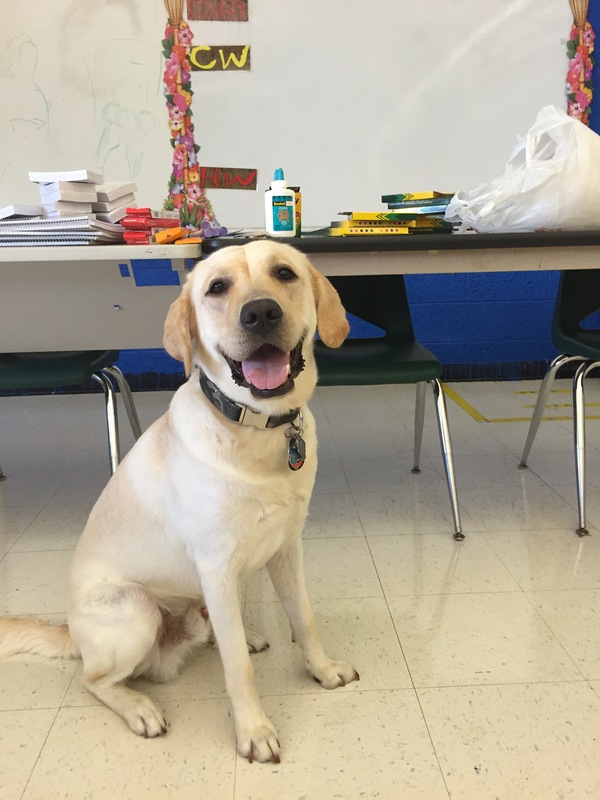 Charlotte is now working as a Seeing Eye Dog. Great Job Charlotte, we are so PROUD of you! !